The Institute Resources have been moved to a wiki - why? Because there are about 8 teachers for this Institute who all have information they want to share with you! Using a wiki allows us all to create and modify our own sections of the same web page/site more easily - and it allows us to invite Institute participants to collaborate in making these pages as well! 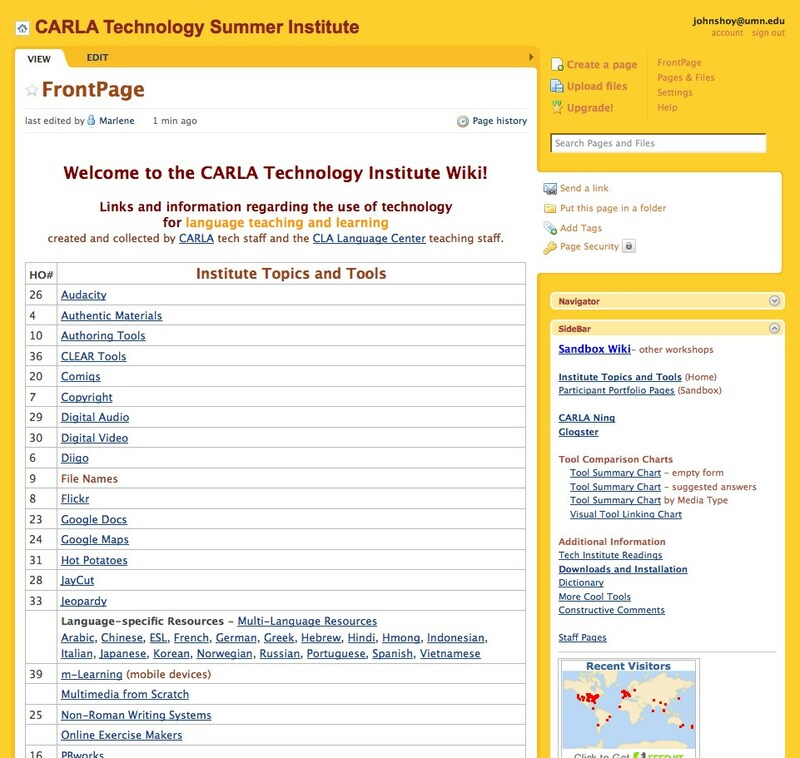 Please visit the CARLA Tech Institute Wiki!